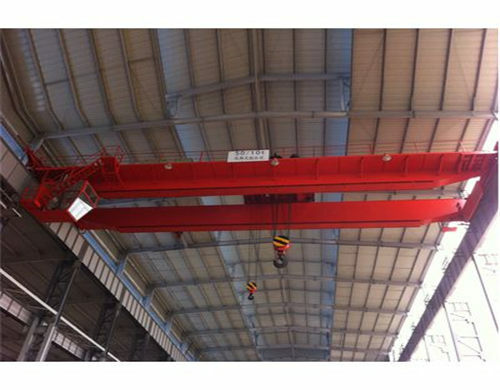 30 ton overhead crane is a kind of heavy-duty overhead crane that has high working efficiency. Our company can supply a high quality 30 ton overhead crane with the best price. As a kind of heavy duty crane, 30 ton overhead bridge cranes are often equipped with double beams because single beam can’t support the object about 30 ton. The advantages of our double girder 30 ton overhead cranes are compact and rigid quality so that the cranes can afford the heavier weight. Our company can supply many specifications in 30-ton bridge crane. 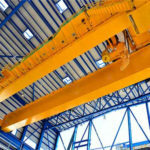 As a result, you can choose a suitable crane according to your business environment. According to the working environment, cranes in 30 tons we can supply are LH electric hoist overhead crane, European standard overhead crane with hoist, QD series overhead crane, QDY series foundry overhead crane and YZ series overhead crane. LH electric hoist overhead crane: This series crane is made for mechanical warehouse, maintenance warehouse and so on. It is used in the common environment that can afford the temperature from -20 degree to 40 degrees. What’s more, the cost of this kind of crane is relatively lower than the others. QD series overhead crane: It is a kind of heavy-duty overhead crane that can lift the goods from 5 tons to 800 tons. It is one of the most widely used lifting cranes in the mechanical warehouse, material yard, maintenance and assembly workshop and so on. The advantages of this machine are a wide application, high working efficiency, and easy operation. QDY series foundry overhead crane: The foundry crane can be used with a hoist. It is based on the QD series crane that has a higher performance than QD series crane machine. The temperature in an operating cab is very high so that the cab must be protected through a heat shield. What’s more, an air controller must be equipped because of the hot environment in the working. YZ series overhead crane: It is one of the main equipment in the process of making steel and continuous casting. The steel making environment is extremely hot so that the foundry crane machines choose special materials to lift or move the objects. It is operated in an operating cab. European standard overhead crane with hoist: It has light dead weight and compact structure so that it can save the cost on the warehouse. It is equipped with European type wire rope hoist that has a long service time. Certainly, the wire rope in the hoist is pretty strong. Just as the name means, this series crane has advanced technology of European standard that has reached the world leading standard. 30 ton overhead crane price is different in accordance with the different sizes and configurations. Our company can give you the most competitive price in good quality in the market so that our company developed well in the last half-century. If you want to know more about our lifting crane price and other information, please feel free to keep in touch with us through an email. Why the 30-ton lifting crane price of us is competitive at the market? On the one hand, our company owns a factory so that we can give you a machine from our factory without a middleman. We have professional engineers and skilled workers to make overhead bridge machine. In the meantime, the crane machine can be installed and tested by our engineers so that the machine must be worked well and normally through the test of professional workers. On the other hand, our company and factory are located in middle China where the rental fee is lower than the others’. Our company also received the support of the government so that the policy is good. Our machine is equipped with many safety devices to make sure the safe and normal work on many occasions. For example, the overload protective device is designed in our lifting machine in order to avoid some unnecessary accidents. The performance is stable because the speed can be changed smoothly. The speed of the machine can be changed in single speed or double speed and it also can be changed variable. Our company provides excellent service including after sale service and on sale service. Before you get the machine, we can give you supply no matter what kinds of problems with our lifting machine you have. 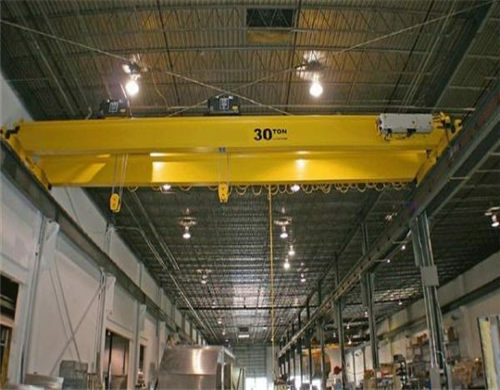 The 30 ton overhead cranes are designed with simple structure and practical function. The simple structure of the crane is helpful to the operation and maintenance. Last but not least, our company provides customized service. If your business is special, please send an email to us with no hesitation. All of our professional workers are happy to provide an ideal solution for you. For example, if you have some opinions on the design and appearance, you can tell us your requirements, we will give you supply as soon as possible. Our cranes have been delivered into many countries in the world. As one of the most famous manufacturers and suppliers in the world, the lifting crane in our company has been exported into many countries in the world. With the development of our company, we have a more reasonable and efficient working rate because the system including the division of labor and working procedure in our company is more and more excellent. Our company is trying to build a world-famous brand in the world. As a result, our company always provides a high-quality machine for our reputation in order to build a reputable brand. Our company also provides 20 ton bridge crane, 50 ton bridge crane, single girder overhead crane, and double girder overhead crane, etc. other than 30-ton bridge crane. All in all, we will give customers a satisfying solution. Please contact us no matter what kinds of crane you need. We’ll give you a reply soon.